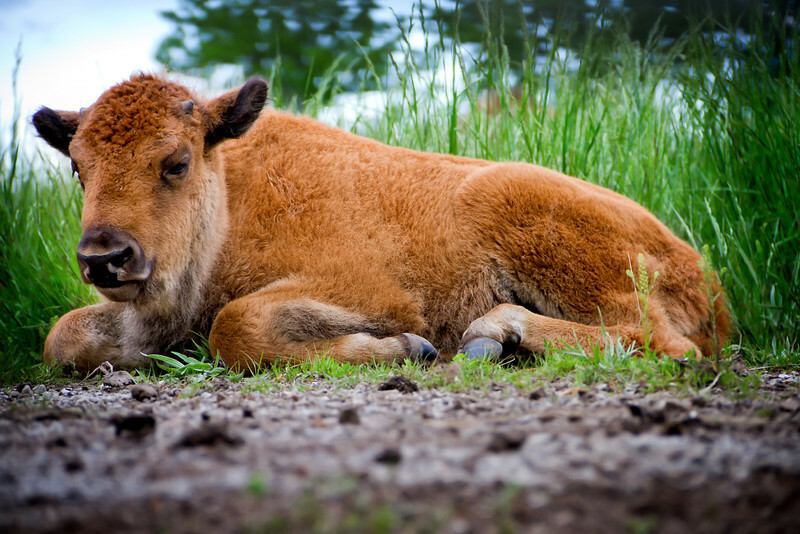 A baby buffalo laying in a prairie. Buffalo once ran the Great Plains of the United States. They are still numbered in select areas of the United States.